The 18th annual Energy in Western Australia Conference will take place on 22-23 August at the Hyatt Regency in Perth. The 2018 theme is Energy for the Future. Speakers will assess the state of play on a range of energy matters, such as fuels, technology, market and legislative developments, supply and security, emissions, and consumer trends while looking to the future. Delegates can look forward to thoughtful sector analysis and a “think tank” approach to panel discussions. 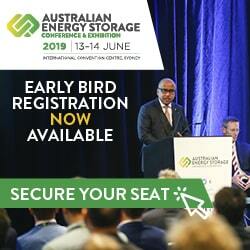 Prominent state, national and international speakers will provide new perspectives on current events and topics relevant to the Western Australia energy sector. The event provides excellent networking opportunities, with more than 200 participants attending the 2017 Conference. The conference is hosted by Australian Institute of Energy (Perth branch) and the Department of Treasury, (Government of Western Australia).